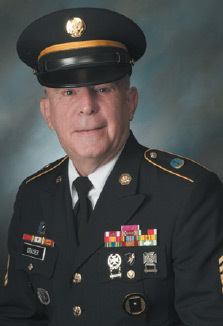 William R. Graser was a Sergeant First Class recruited by the US Army Security Agency in 1965. His assignments included Korea, Vietnam, Thailand, West Germany, occupied West Berlin—and the US Army Security Agency’s headquarters at Arlington Hall Station, Arlington, Virginia. He earned the Army of Occupation Medal and was awarded the Legion of Merit Medal for his exceptionally meritorious conduct in the performance of outstanding services and achievements while serving with the US Army Field Station Berlin.